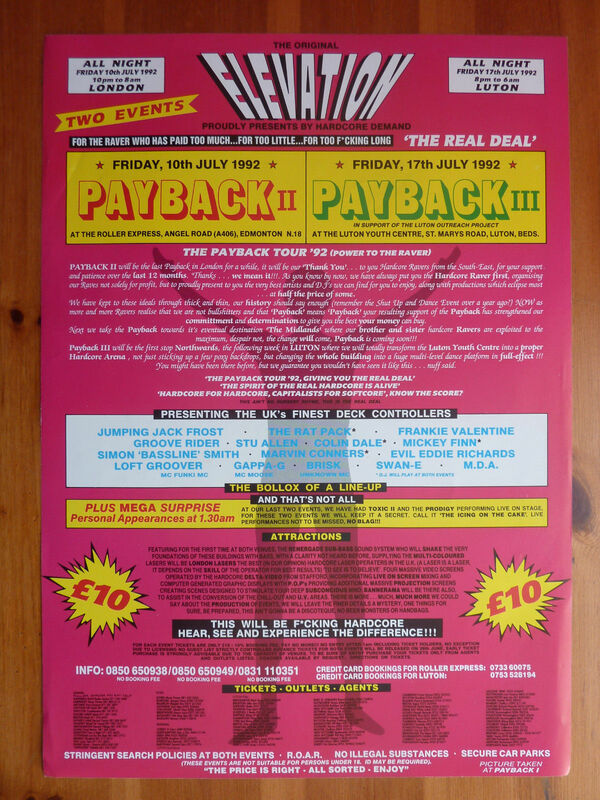 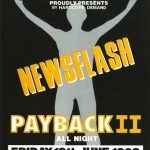 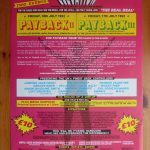 According to Payback III flyer at their last two Payback events Toxic II and The Prodigy performed live on stage. 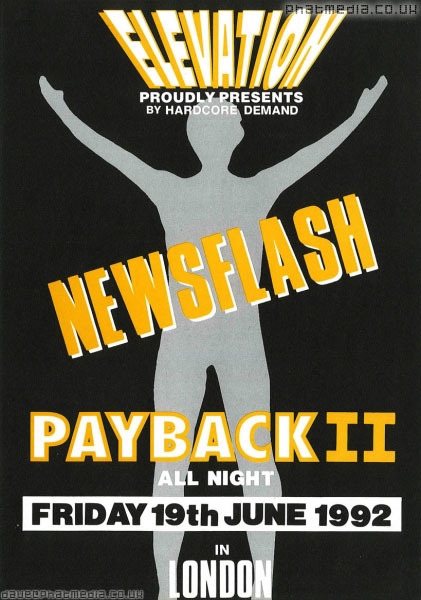 Toxic II is mention on Payback event, 17th April 1992. 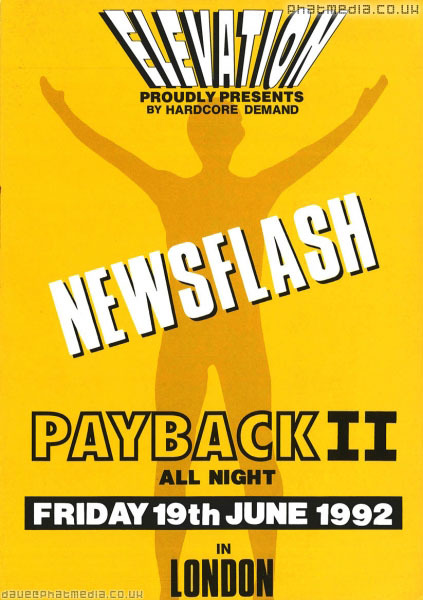 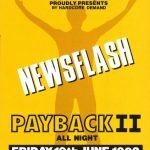 The Prodigy had to play at Payback II, 19th June 1992.